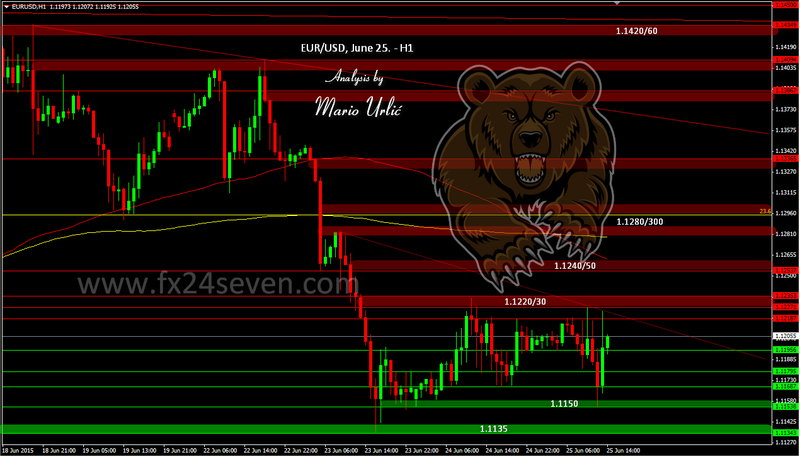 EUR/USD, bears are very angry! EUR/USD is moving based on the news on the wires and on every new ‘surpise’, if there is any, the pair is moving strongly down/up! But, the technical levels are still holding. 1.1150 hold the decline and 1.1220 hold on the way up. The bears are reacting strong on every bulls attack and return the pair down under the 1.1200. However, the bulls are also persistent and don’t let the control out of the hands on the lower levels. While we are waiting for the new headline, watch these levels, the same as yesterday. There is several minor supports and resistances between those two stronger ones, check them in my chart. Be very patient and careful, what else to say! ?